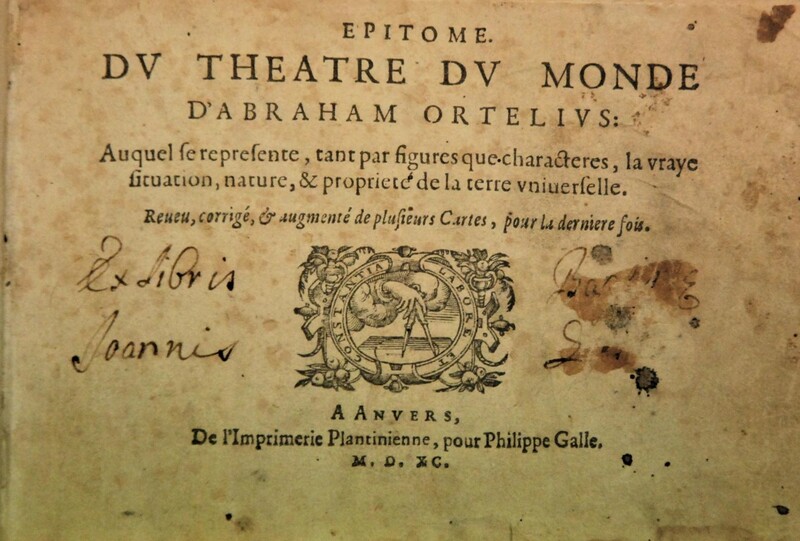 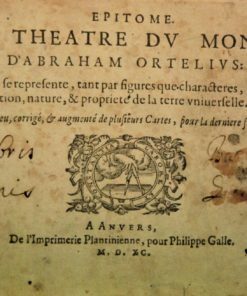 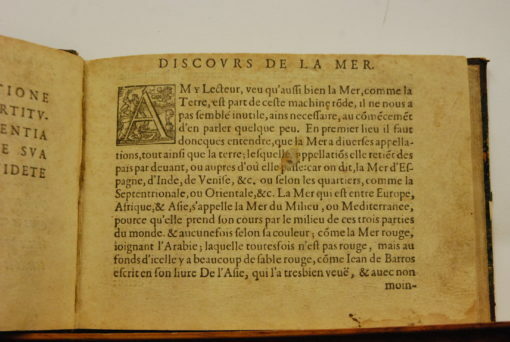 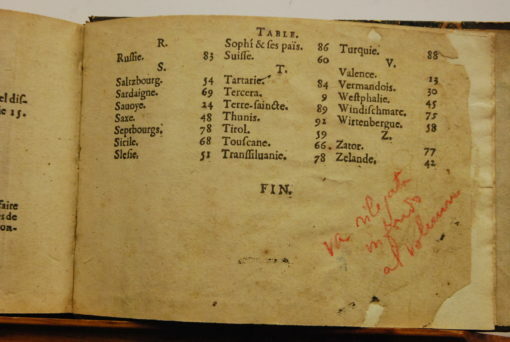 Notes: Epitome du Theatre du Monde d’Abraham Ortelius: Auquel se represente, tant par figures que characteres, la vraye situation, nature, & propriete de la terre Universelle. 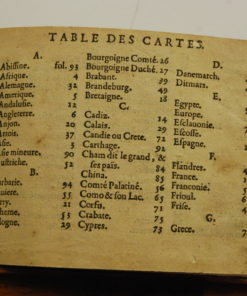 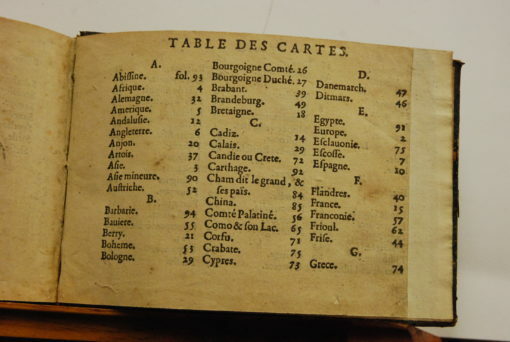 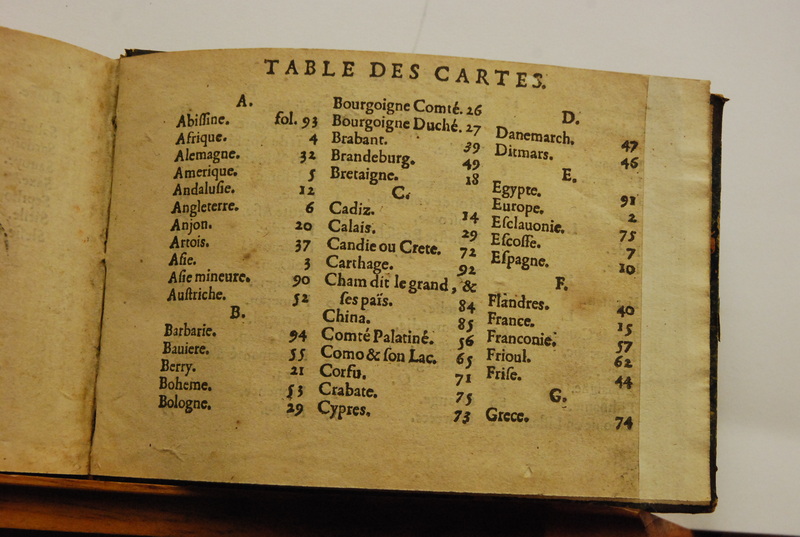 Reveu, corrige, & augmente de plusieurs Cartes, pour la derniere fois. 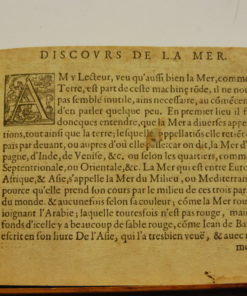 A Anvers, De l’Imprimerie Plantinienne, pour Philippe Galle. 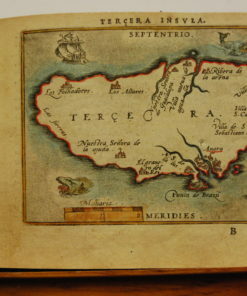 M. D. 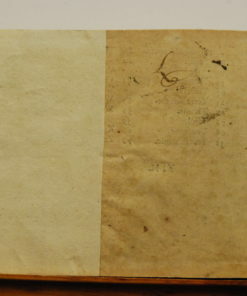 XC., ff. 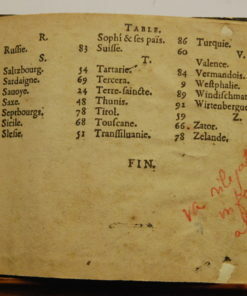 3, , 94, . 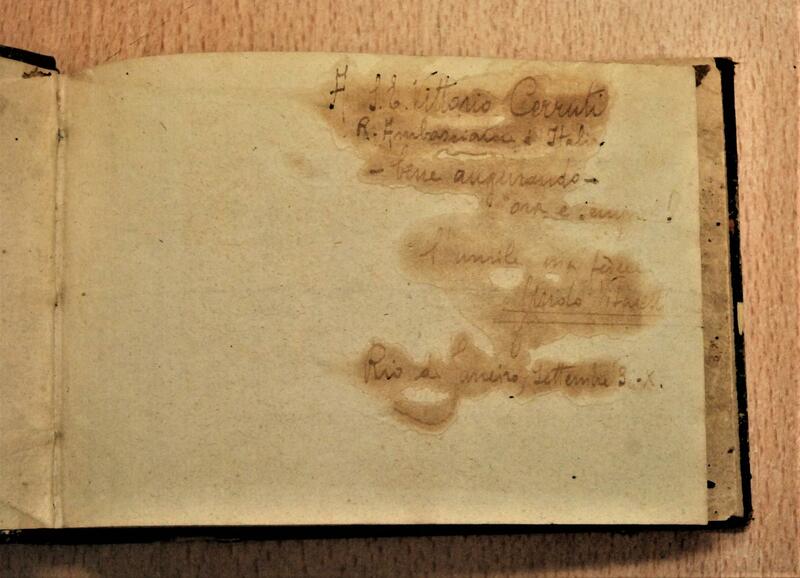 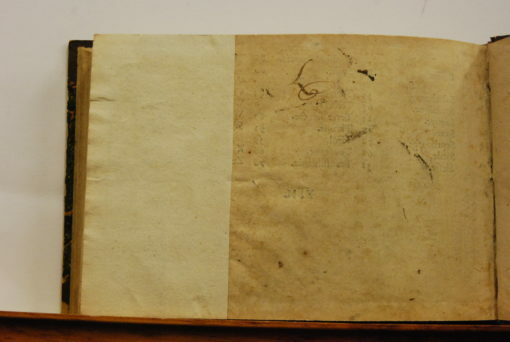 Rebound in quarter-brown-leather with marbled paper to boards. 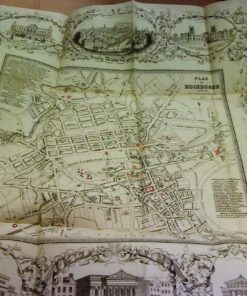 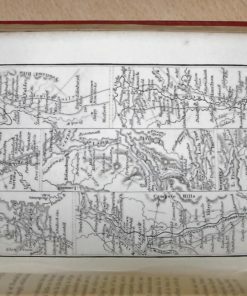 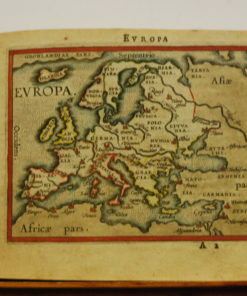 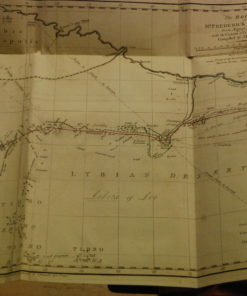 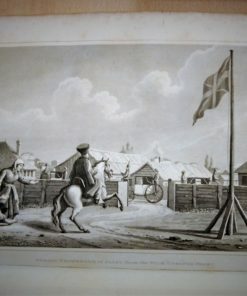 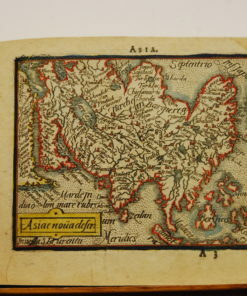 Containing 94 maps, some hand-coloured at a date significantly later than the publication, possibly in the nineteenth century. 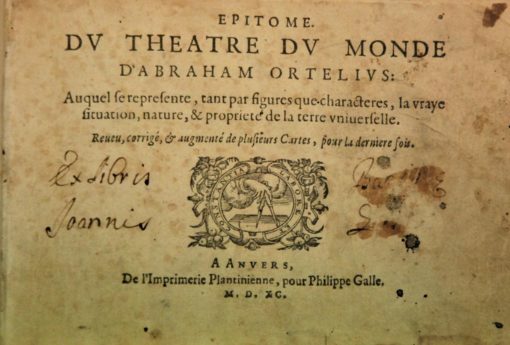 Preface by publisher Philip Galle. 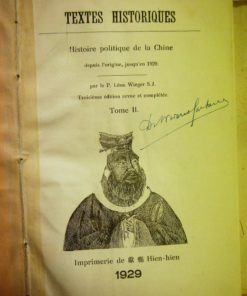 Copy presented to Vittorio Cerruti, Italian ambassador in Brazil, in Rio de Janiero in Sempember 1932. 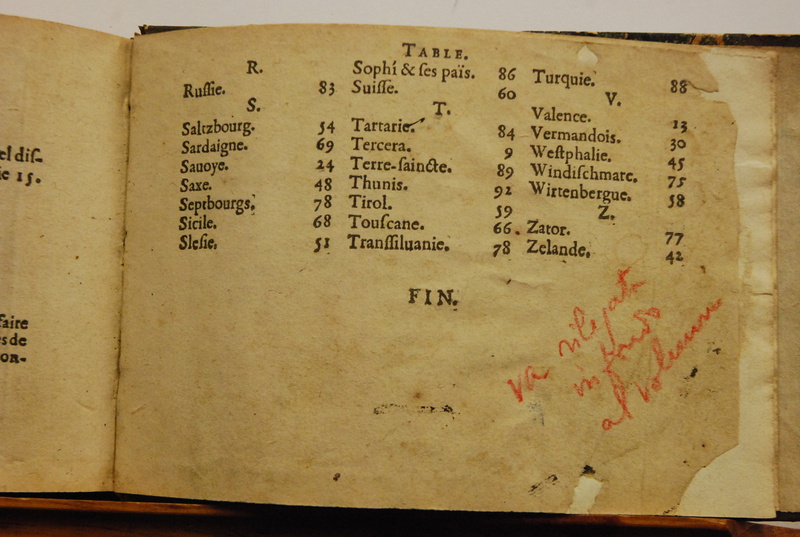 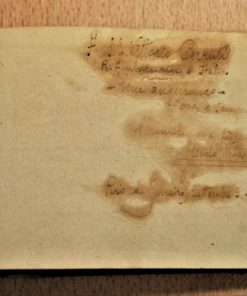 Some marginalia and notes indicating previous ownership. 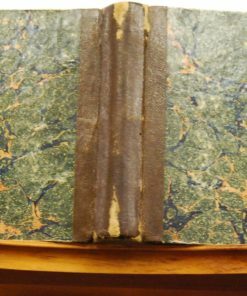 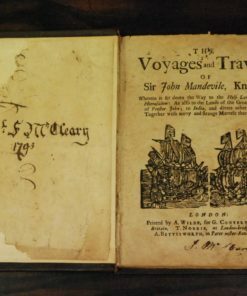 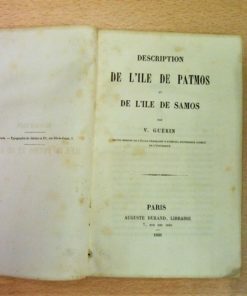 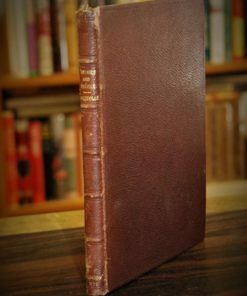 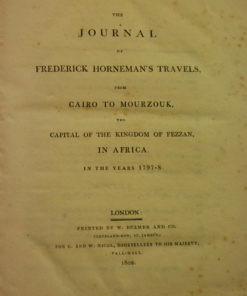 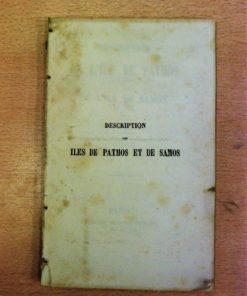 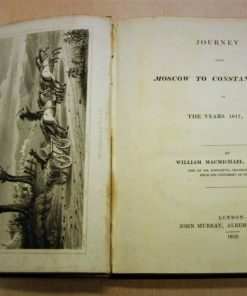 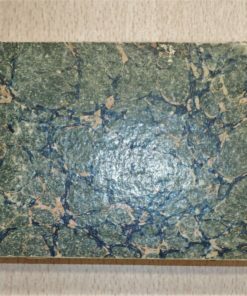 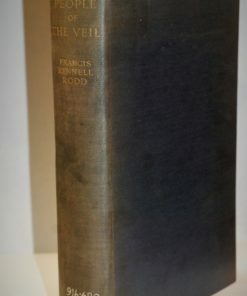 Minor foxing and some fingerprints to pages, binding rubbed at extremities, some evident repair work with minor loss of text to the final two pages of the index. 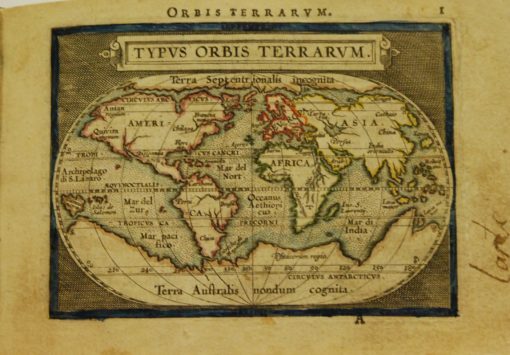 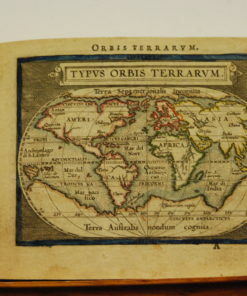 Ortelius is famous for being the creator of the first modern atlas, Theatrum Orbis Terrarum, published in Antwerp in 1570, thus precipitating the so-called Golden Age of Netherlandish cartography. 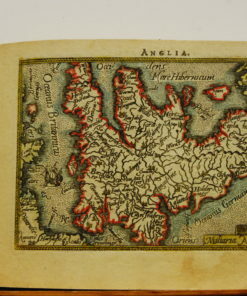 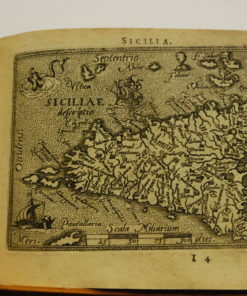 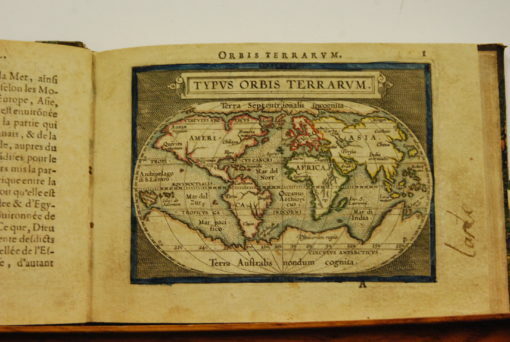 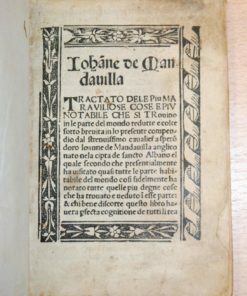 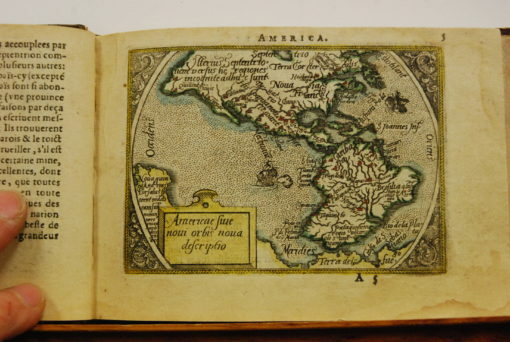 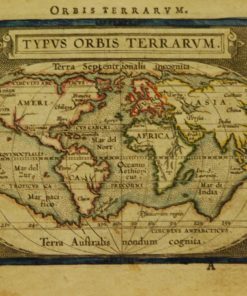 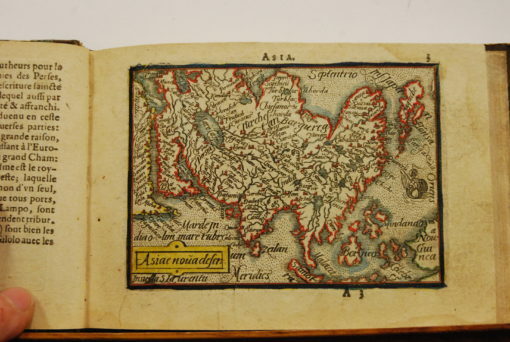 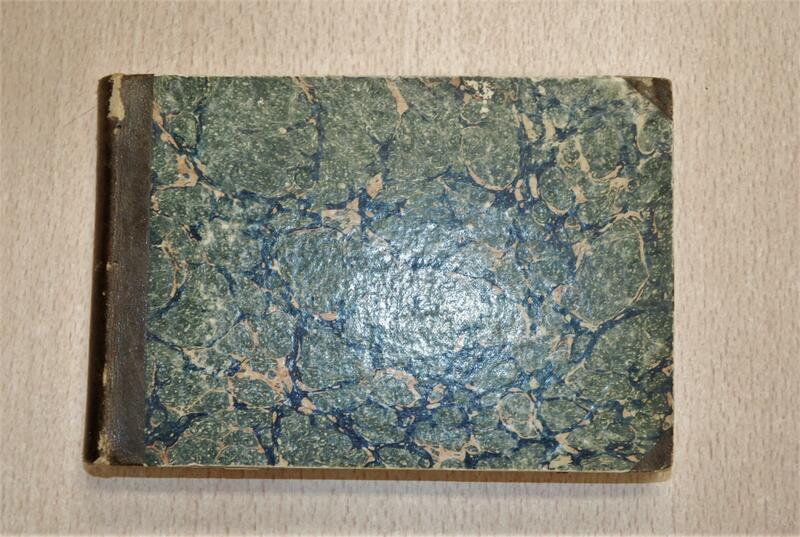 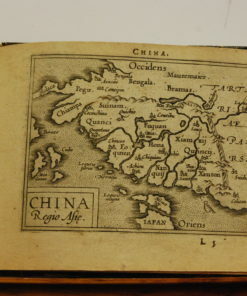 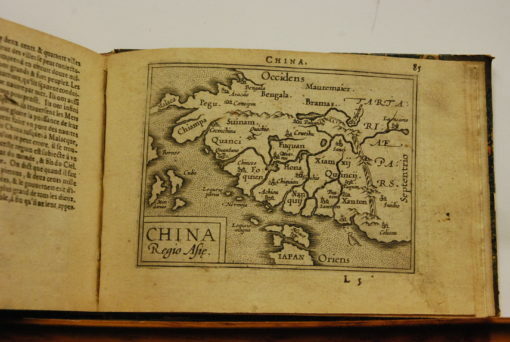 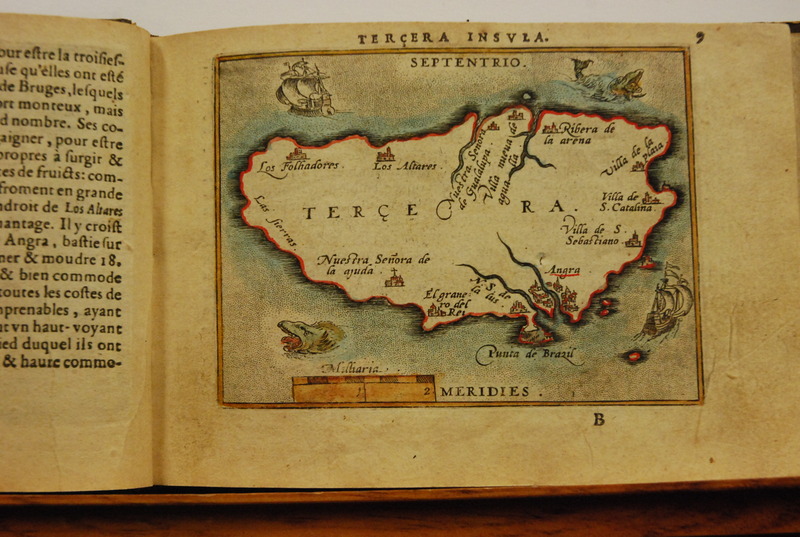 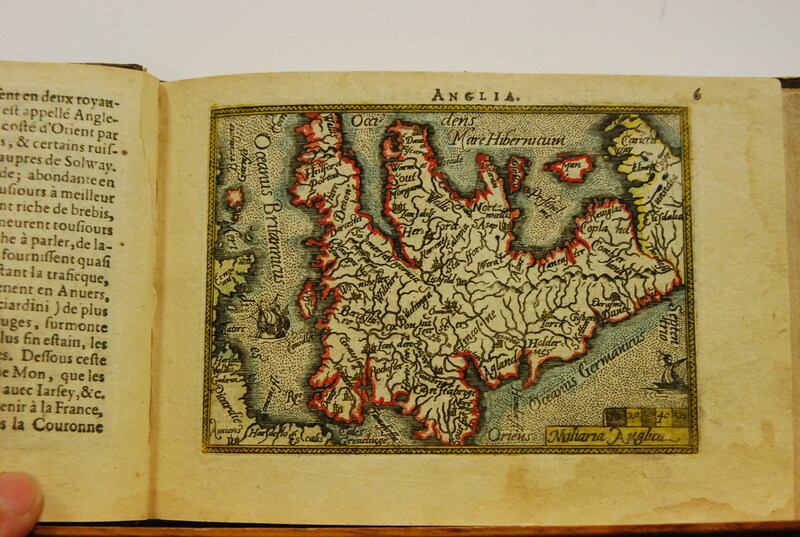 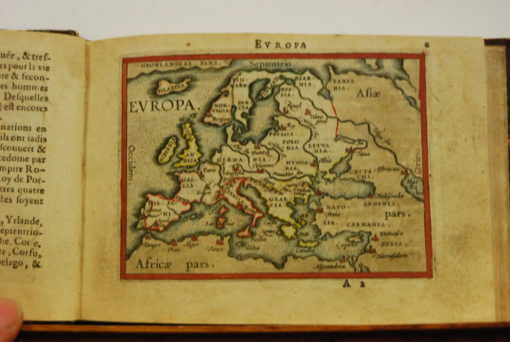 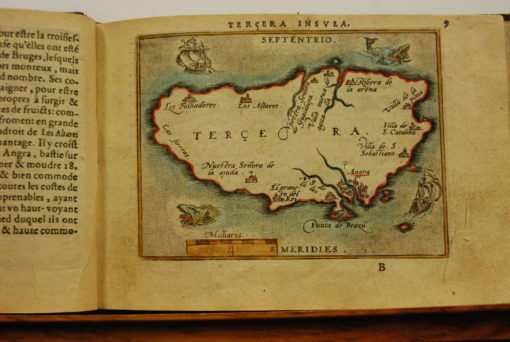 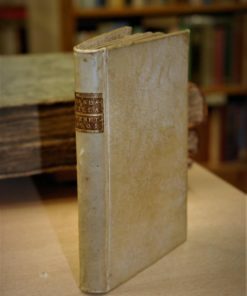 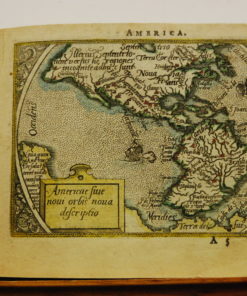 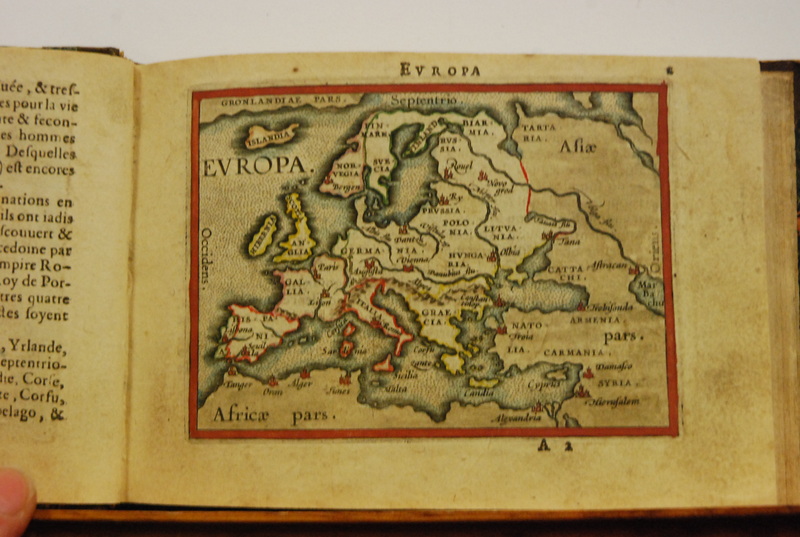 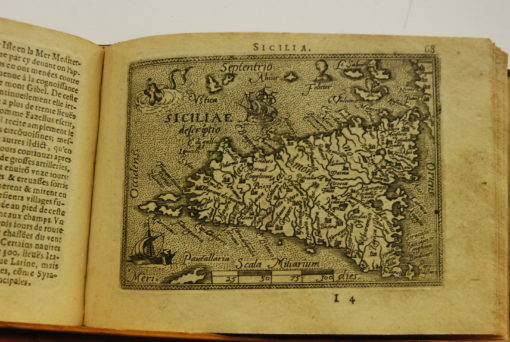 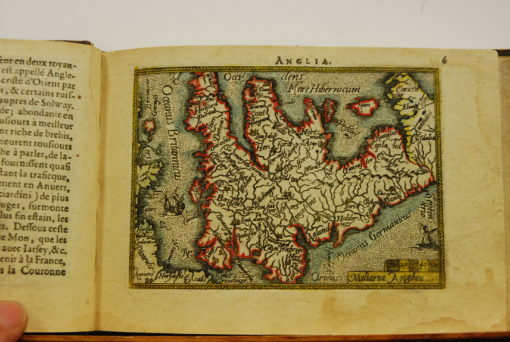 This is a rare second edition of the ‘pocket Ortelius’ first published in 1588.